Zach Shapiro is the Rabbi of Temple Akiba in Culver City, CA. A native of Boston, Zach has lived in Los Angeles since his Ordination from HUC-JIR, Cincinnati in 1997. He met Ron Galperin that same year, and they were married in a religious ceremony in 2002, followed by a legal ceremony in 2008. Ron was elected LA City Controller in 2013. 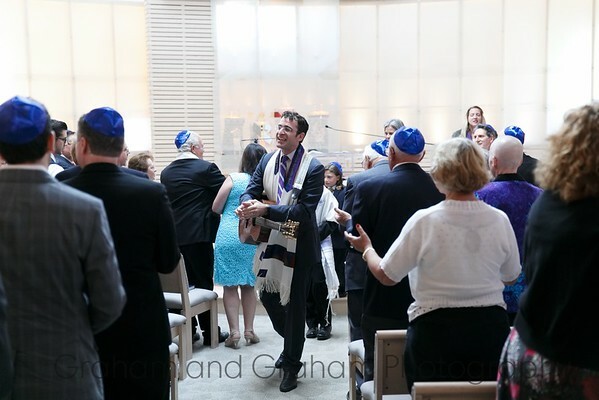 Rabbi Zachary Shapiro leads a Bar Mitzvah at Temple Akiba, Culver City 90230. Photograph by Graham and Graham Photography.